Help me out what details did I miss? for real. When you hear of an outlaw visiting your neighborhood, its normal to be worked up. They have never had any good plan for Lebanon. Its always about making plans to destroy Lebanon for israehell's sake. There is no tear that would be shed from if Basil becomes president. My first choice still remains Sleiman Frangieh. Frangieh doesn't make me feel like I am in a divided country along sectarian or religious lines. Basil is too sectarian. That's something I do not like in him. And he's been having these slip of tongues. Then, sometimes you feel the FPM policies can change based on mood swings, as displayed by their bipolar supporters. 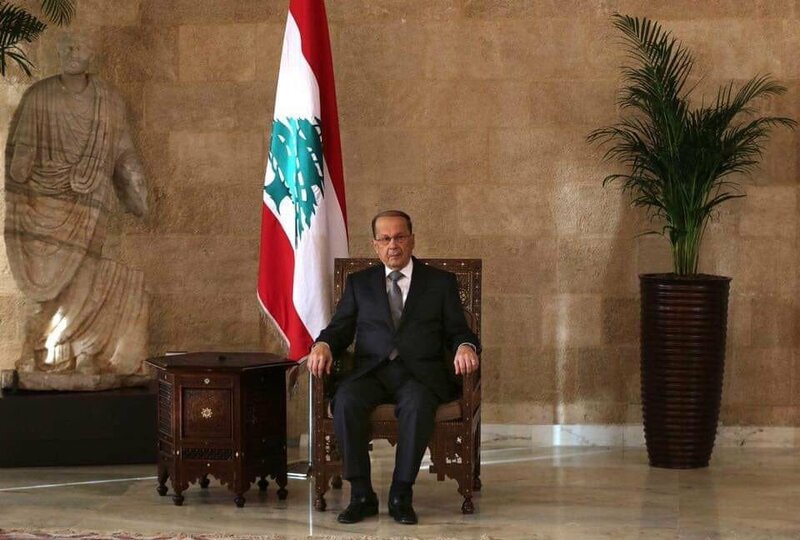 When Aoun was leading the FPM, there was more consistency and allies felt more at peace and confident of his leadership. If Basil beats Frangieh to the presidency, Basil would likely have much reassurances to make to his allies for them to abandon Frangieh and give it to him. And also Basil will have to commit that after him, it will be Frangieh's turn. Bassil doesn't need to reassure you anything, there will be a Parliamentary election few months prior the presidency. FPM's results will be his assurance. You do not even speak for the FPM. So I won't bother. I even doubt you're a genuine FPM supporter. No i think PMA retires after his term, the man did his part. اكد وزير الخارجية الاميركي مايك بومبيو خلال مؤتمر صحافي مع وزير الخارجية جبران باسيل في قصر بسترس، ان "حزب الله يقف عائقا أمام أحلام اللبنانيين، ويخدم أجندة النظام الإيراني حزب الله تحدى الدولة اللبنانية ويواصل التشويش ومعارضة مصالح اللبنانيين". وقال: "الاتجار بالمخدرات وتبيض الأموال يضع حزب الله تحت مجهر المجتمع الدولي"، مشيراً الى ان "حزب الله يحصل على 700 مليون دولار سنويا من النظام الإيراني"، لافتاً الى ان "الشعب اللبناني يواجه خيارا صعبا فإما أن يواصل المضي كأمة شجاعة أو يحقق طموحات إيران وحزب الله". واضاف: "واشنطن ستواصل استخدام كل الوسائل للضغط على إيران وحزب الله". وذكر بومبيو ان "رفيق الحريري اغتيل من قبل جماعة "الأسد" وحلفائها". ولفت الى ان "قاسم سليماني يستمر في تقويض مؤسسات لبنان الشرعية". I totally disagree that we have people on the forum sidelining with israel and USA to throw hate against a fraction in my country regardless if i like them or not. I totally agree with @Rachel Corrie concern on the forum though i might not agree with him for some issues internally. But truth to be said, this is a patriotic forum, at least we should act like that. I hate this proverb but it describe the moment: ana w khayyeh 3a ibin 3amme, w ana w ibin 3ammeh 3al gharib! now try to repeat the same logic from a Hezbollah's perspective, however with Iran and Syria instead of USA. I, as a super moderator on this forum, i have recieved some complaints today and in the past about the freedom of speech, Im all with the freedom of speech , but I cannot tolerate to have an enemy state by constitution to spread hate toward lebanese fractions whoever they are, consider this to be a warning to all who is doing this, otherwise i m gonna start banning them no matter what position they are in the forum! There is a moderator who is threatening Lebanon with destruction. I am not going to abandon a Lebanese forum I spend time on because of a Zionist hasbara troll or mole. Something has to be done. I never claimed anything divine, if you want divine go talk to those who do.